Add luxury to your bedroom with the Beach Breeze Stripe Sand Full Duvet Set. 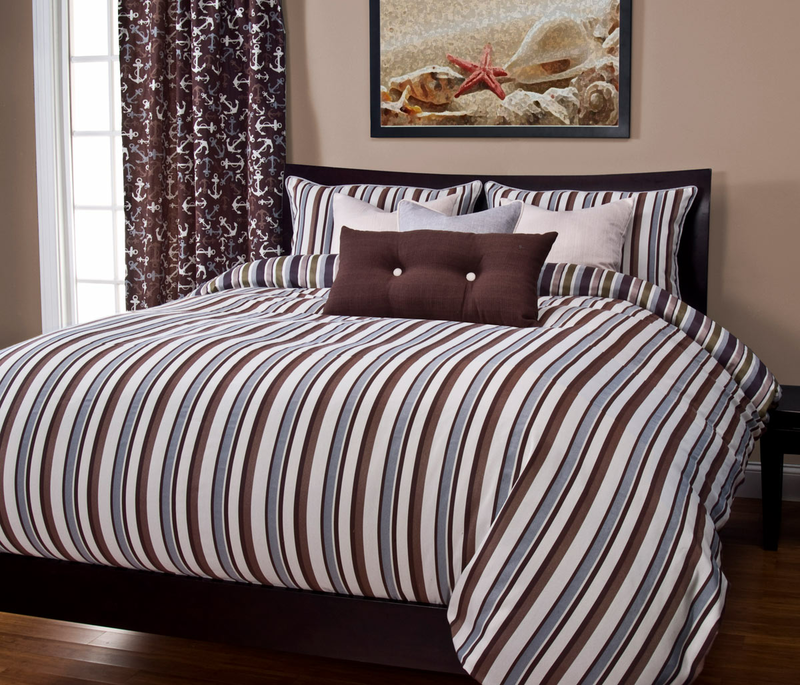 These coastal bedding sets are accented with stripes in different shades of brown, blue-gray and white for true beach style. Ships from the manufacturer. Allow 1 week. Cannot express ship. For more items, we ask you to spend some time to look at our whole variety of coastal bed sets at Bella Coastal Decor now.